If you change your “me” to “us”, you will see your relationship grow; but if you keep a “me” mentality, the relationship will be one-sided and more susceptible to failing. Far too often, relationships crumble as the result of a hobby being prioritized over a significant other. For men, this could be playing video games around the clock; and for women, this could be chronic shopping. By putting too much time into your hobby, you open the door for your mate to gain feelings of neglect. The time you put into your hobby should never outweigh the time you put into your relationship. There is an old saying that states, “the little things count”. When you no longer do the little gestures you did at the beginning of your relationship, it could cause your significant other to wonder if you still love them the same. Consistency is a requirement for any relationship to survive. Relationships should incorporate effective communication, even during times of conflict. Taking a passive aggressive approach to solving your problems could leave your relationship in shambles. 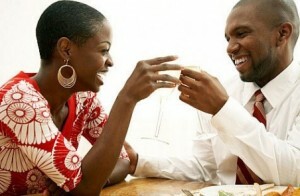 Instead of doing things passively, have a direct conversation with your significant other about the issue. Relationships are about two people coming together to grow as a couple. Any time you bring a “me” mentality into a relationship, you alter the foundation of what a relationship is supposed to be about. If you change your “me” to “us”, you will see your relationship grow; but if you keep a “me” mentality, the relationship will be one-sided and more susceptible to failing. An ex is an ex for a reason and they should be “ex”cluded from your current relationship. When you compare your significant other to your ex, you put your relationship on a path of destruction. It is important to keep the discussion within your relationship about your relationship. Dr. Corey Guyton is a dynamic speaker, blogger, author, and husband who is on a mission to bring back the essence of healthy relationships.